Jenni Undis is the owner and creative director of Lunalux, a graphic design and letterpress printing studio on Loring Park. She plays with the formality of the printing press by including quirky images and sayings, literally causing her customers to LOL. 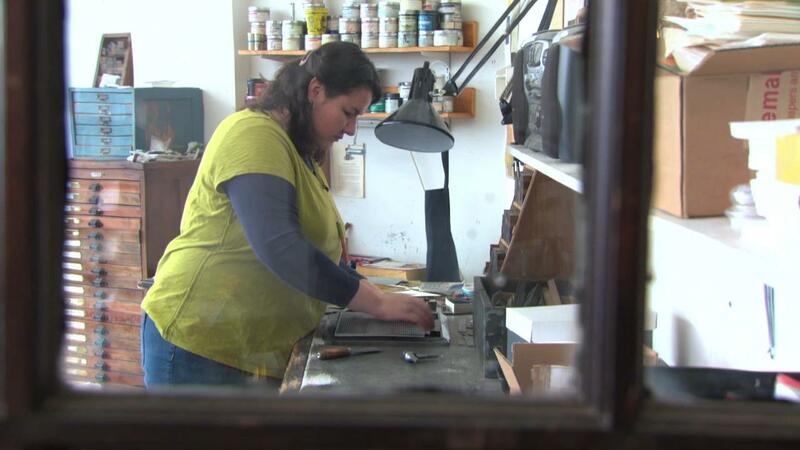 Jennifer Undis has been preserving the art of letterpress printing after visiting the store in 1995 on a college field trip. She purchased the business in 2003 after working there for several years. Jenni graduated from Macalester College with a BA in Communication Studies and a minor in Studio Art. Lunalux creates custom invitations, cards, stationary with great care and expertise all on a 1953 Heidelberg press. She plays with the formality of the printing press by including quirky images and sayings, literally causing her customers to LOL. Graphic designer Jenni Undis of Lunalux plays with the formality of lettpress printing.